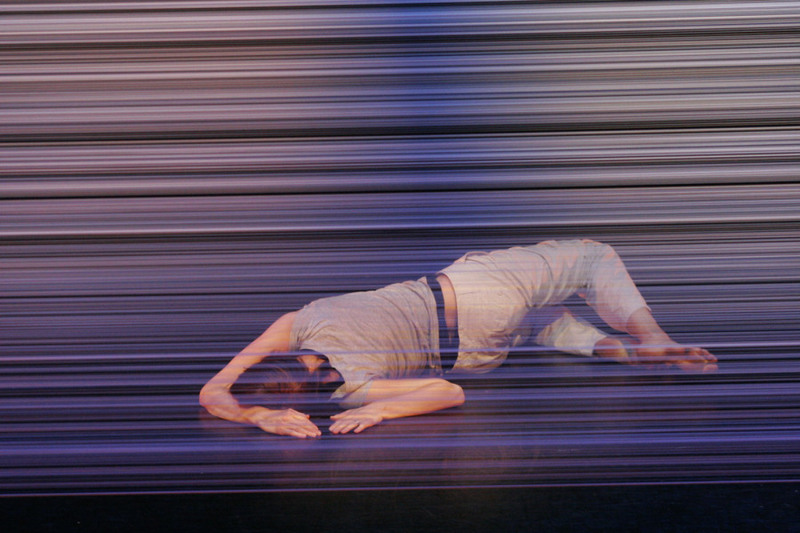 Sophia Clist creates installations, sets and objects for performers and audiences to inhabit, manipulate and transform, collaborating with artists in dance, theatre and with the general public. As a sculptor, she is fascinated by the choreography of materials, objects and form in space. Working in visual and physical theatre inspired her to create Stretch, the performance installation Hands Full – Phenomenal People (Fuel, WOW Festival) and to apply to the 2016 Jerwood Choreographic Research Project II for which she was shortlisted. Recent designs and installations include: The Flying Lovers of Vitebsk – Kneehigh Theatre (Bristol Old Vic); And The Horse You Rode In On – Told by An Idiot (Barbican, Drum Theatre Plymouth, Brighton Festival); Get Happy – Told by An Idiot (Barbican); 16 Singers – Katherine Morley (Dance Umbrella, The Egg – Theatre Royal Bath); Life Forces – Jane Mason and Phil Smith; Grandmothers – Encounters Arts; Oxygen – Dreadnought South West; The World At Your Feet – led by Barbican Theatre Plymouth (Plymouth Cultural Olympiad); In This Place – Pentabus Theatre. Sophia was Associate Artist to Theatre-Rites 1998-2008. She designed many national and international touring & site-specific productions (The Young Vic, LIFT, Wiener Festwochen, Teater Der Welt, Polka Theatre, Unicorn Theatre for Children, Lyric Theatre Hammersmith). She co-created the company’s TMA award winning dance theatre production Mischief with Arthur Pita, (Sadler’s Wells, Dance Touring Partnership). Sophia Clist is a British based artist who has played a significant role in developing interactive cross-artform work with universal appeal. Crying Out Loud began to work with her in 2002, interested in her practice because she was creating new and different participatory and immersive work at a time when there was very little extraordinary work for children and adults to participate in together. 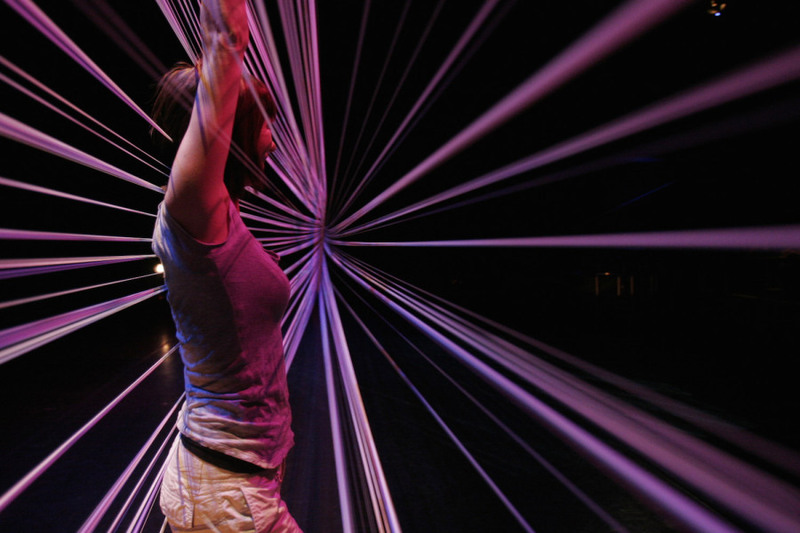 One of the original PIPs, Crying Out Loud commissioned, funded and produced the creation of Stretch, an evolving artwork/installation that combines light, sound, music, dance and video, it went on to tour internationally to the Awesome Arts Festival in Perth, Australia. 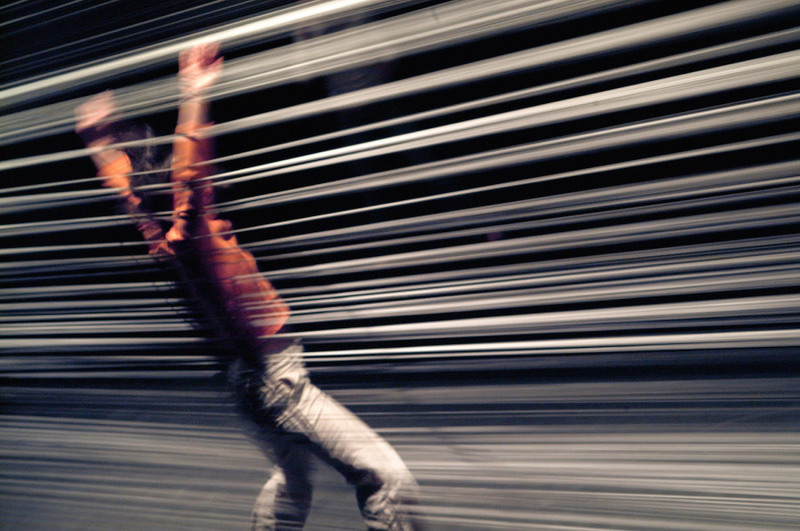 Stretch is a screen made of hundreds of strands of fine shearing elastic, stretched under tension from wall to wall across a space. Its many miles of elastic creates a permeable threshold or boundary radically altering the architecture of the space it occupies. The installation invites interaction, quietly provoking the viewer into physical engagement, to manipulate it, and to discover its potential to transform and be transformed. There are no instructions about what to do or how to be, the viewer makes their own journey. A stand alone interactive installation, an improvised performance, a workshop tool, Stretch continues to show nationally and internationally at festivals, theatres and in public spaces for ages 9 months to 90 years. "Stretch... radically alters the architecture of the space it occupies as it is altered by the hands and bodies of those that press against it"